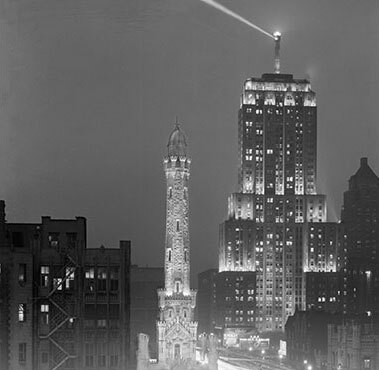 Porcelain Veneers - Chicago | Benjamin S. Fiss, D.D.S. A veneer is a thin porcelain covering placed over the facing of a tooth to enhance its color and shape. When veneers are placed on adjacent teeth, crowding and malalignment can be corrected or erased. Because porcelain veneers are carefully sculpted and shaped, many people feel they have gone through instant orthodontics. Porcelain Veneers have a longevity of at least ten to 15 years due to the strength of the porcelain and the extreme thinness of the cement. To achieve the best depth of color translucency and iridescence, the structure of the teeth to be veneered must be reduced both facially and in length approximately half a millimeter. Veneers should wrap around the chewing edge and go interproximally between teeth to create life-like translucency and contour. If patients are interested in bleaching or tooth whitening, this should be achieved prior to veneering, as restorations will not whiten. 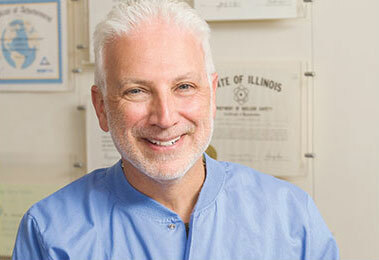 If you are interested in porcelain veneers with Chicago cosmetic dentist Dr. Benjamin Fiss, contact us today. 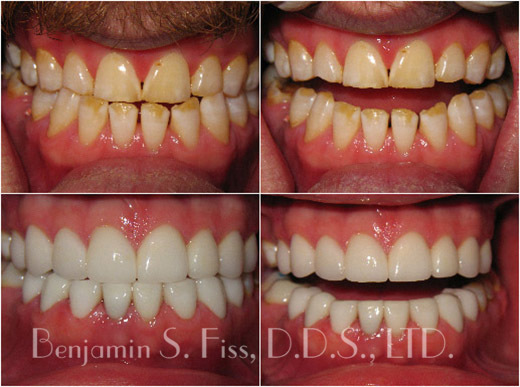 Pictures 1-4 demonstrate several issues (1)lower arch crowding…teeth are all different heights (2) upper arch shows great differences in gum height tooth shape and contour creating a total lack of symmetry . The uneven color is caused by old fillings and root canal treatment . 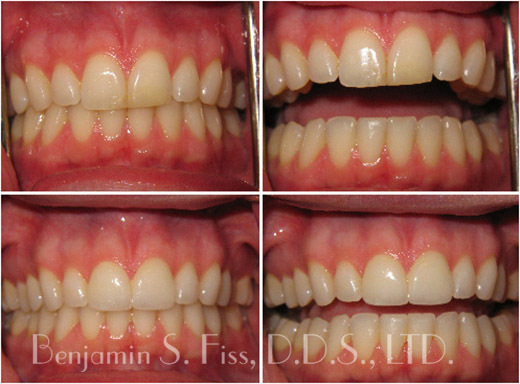 Pictures 5-8 show the improvement after 6 veneers were placed creating lifelike symmetry, color and tissue height . 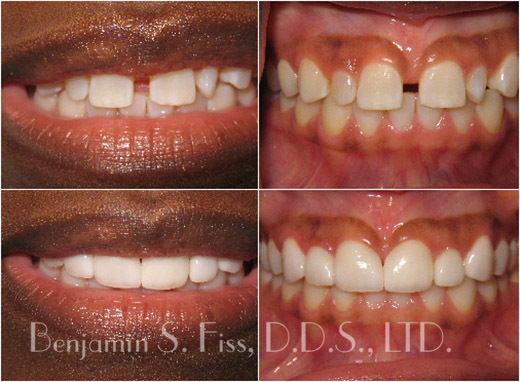 The lower arch was corrected simultaneously using CLEARCORRECT™ clear aligners. Photo 1: Demonstrates this by the lack of visible teeth showing and deep facial wrinkles when smiling. Photo 2 & 3: These pictures demonstrate severe wear from grinding-the translucency (grayish tones) were caused from chemical erosion (drinking pop, gastric reflux). When a worn dentition is present the 2 front incisors are shorter then the eye teeth or cuspids. The result of all this wear causes the patient to “over close “. 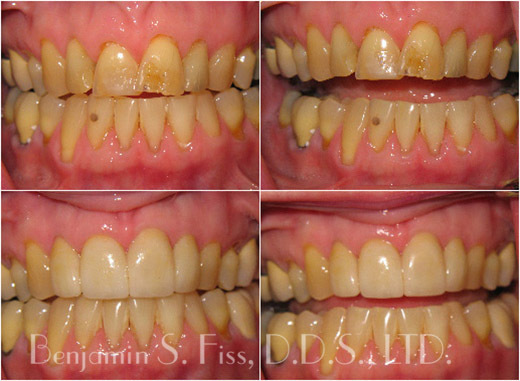 Photo 4, 5 & 6: These pictures demonstrate the result after porcelain restorations were placed only on the top-correcting the collapsed bite and thin gray teeth. The deep wrinkle lines have diminished -a beautiful broad and natural smile is the result. The worn smile is gone replaced with a more youthful one-creating a facelift effect without the surgery. Discoloured or chipped teeth are repaired with veneers. True-to-nature IPS Empress veneers are used for the cosmetic correction of teeth. 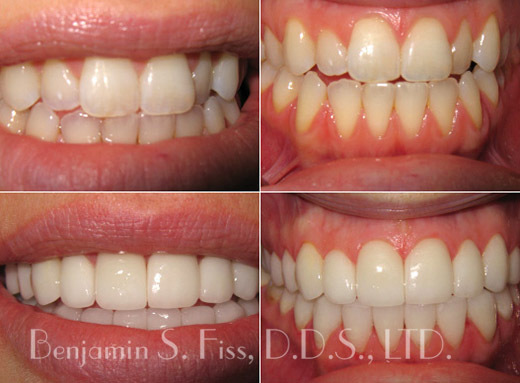 Dr. Fiss can help you enhance your smile with IPS Empress porcelain veneers. Contact him today! 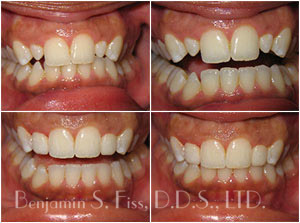 Photo 5 & 6: Two additional veneers were placed (upper left & right) to broaden the smile. 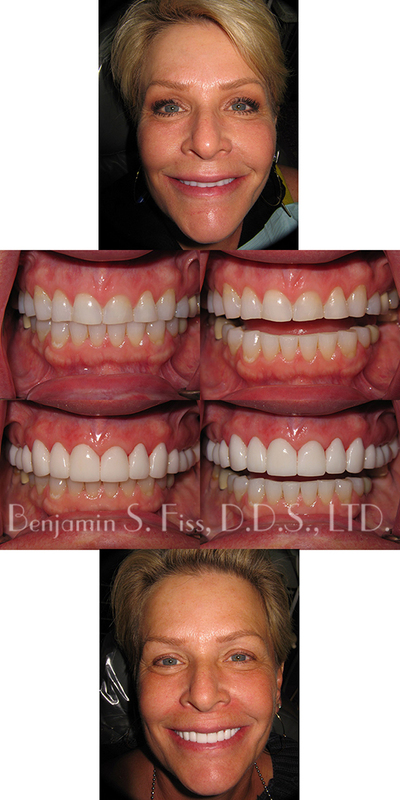 Making a total of 10 veneers for this wonderful smile. 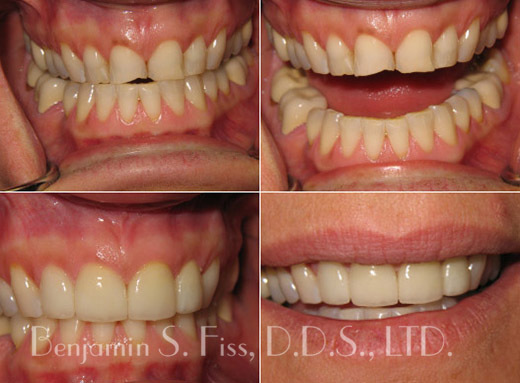 This amazing makeover involved placing 20 veneers, creating life-changing results. 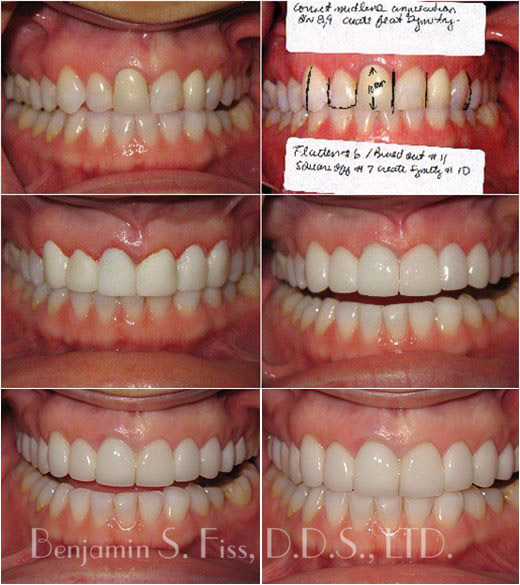 Six veneers were placed creating a perfect life changing smile. 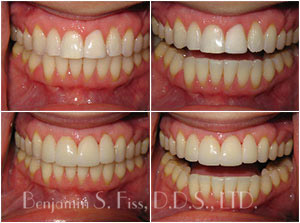 Two veneers were placed creating an ideal smile. 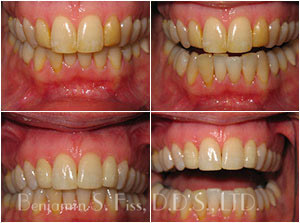 Eight veneers changed this persons smile in two visits from an old looking severely worn dentition to a youthful one. 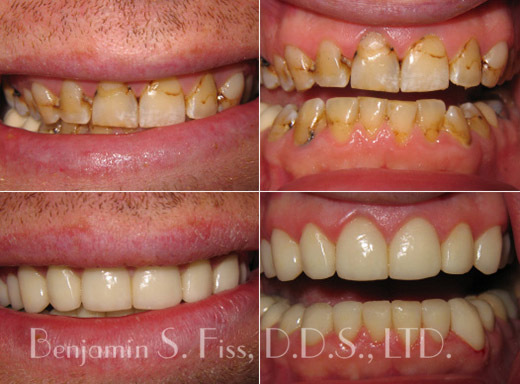 This case involved a complete dental reconstruction including the placement of 20 veneers. The Veneers’ color and shape look remarkably natural. 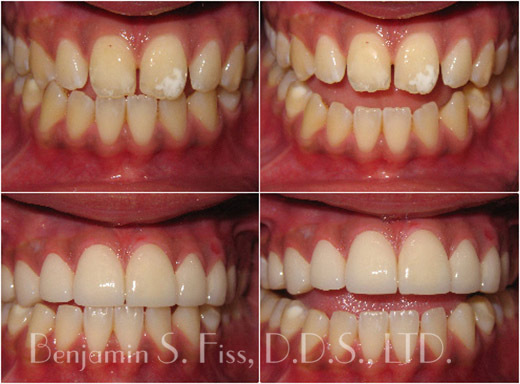 Here is a recent before and after photo of a case involving the placement of 20 Porcelain Veneers over a period of 4 weeks. An amazing makeover with the placement of only three veneers and cosmetic enamel recontouring-note how exact the custom staining is creating lifelike results. Before: The front four incisors are severely cracked and filled with bonding. 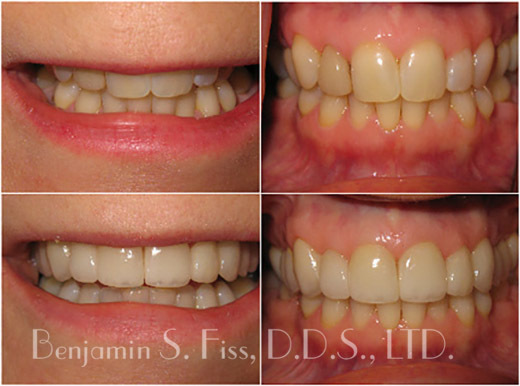 After: Four beautiful -very natural looking veneers were placed-with the right amount of incisal transluceny. Ten veneers placed only on the top teeth in the smile zone (1) the midline was corrected (2) the posterior teeth were built out with porcelain creating a wider smile (3) the veneers improved the lip contour taking years off facial lines (4) the front teeth were made slightly longer with natural incisal translucency for a youthful smile. Gather more information on Porcelain Veneers.